Autumn brings us Halloween, the time of year when our thoughts are haunted by ghosts and goblins. But for those of us who are learning to draw, the zombies of perfectionism can be the most terrifying creatures—every day of the year! Our notion of having to make the “perfect drawing” can dig its way out of the graveyard of unfinished childhood drawings, spawning the zombies of perfectionism. These unrelenting, critical zombies can stalk us throughout life. They are the vivid, sometimes painful, memories of being told not to make mistakes while we draw. “The sky isn’t green, it’s blue!” commands a third grade teacher. “That doesn’t even look like a dog!” criticizes a high school classmate from across an art room filled with laughter. While growing up, our parents and teachers constantly pushed us to get perfect grades. Nowadays we feel compelled to stream a Facebook timeline reflecting a perfect life. And so it goes, we think we have to make perfect drawings. Perfectionism lurks in the corridors of the mind and can devour our simplest desire to draw carefree lines and shapes on paper. According to Wikipedia, “perfectionism is a personality trait characterized by a person’s striving for flawlessness and setting excessively high performance standards, accompanied by overly critical self-evaluations and concerns regarding others’ evaluations.” Sounds pretty scary. In drawing, there are positive and negative aspects to perfectionism. It can motivate us to draw a realistic depiction of an object we’re looking at. But it can also drive us to attempt achieving the unattainable ideal of drawing an exact replication of the object. When perfectionists don’t reach their goals in making the perfect drawing, they can become frustrated and eventually stop drawing altogether. Many of my adult and youth students have had to overcome haunting, stifling memories of trying to draw in a world dominated by the convention of making everything look flawless. I’m the first to say that you shouldn’t hurry your work or to draw sloppily. However, if you’re aiming for realism in your work, it’s important to learn to enjoy sketching swiftly, confidently, and with purpose. Here are 4 basic tactics to help you stop perfectionism’s rigid dominance from creeping into your drawings even before laying down the very first pencil strokes. 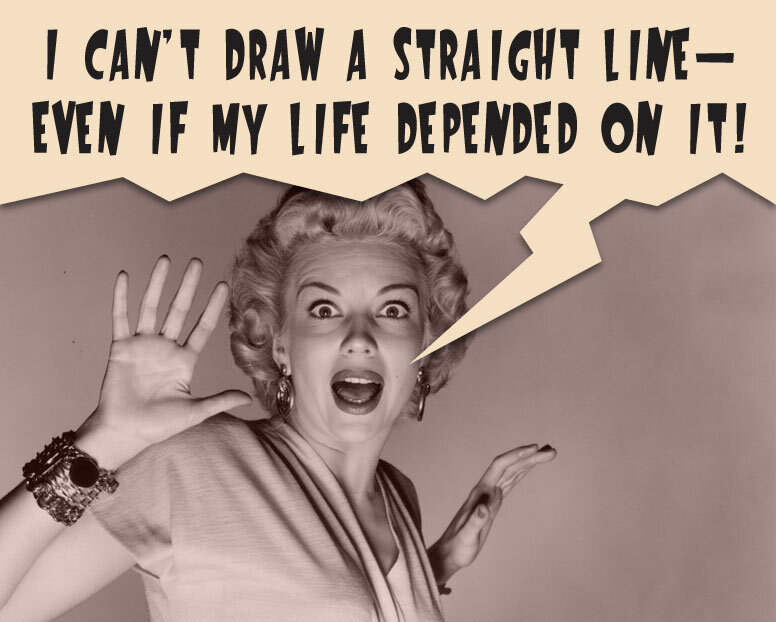 Embrace Mistakes: Even the most accomplished drawing artists make mistakes—all day long! 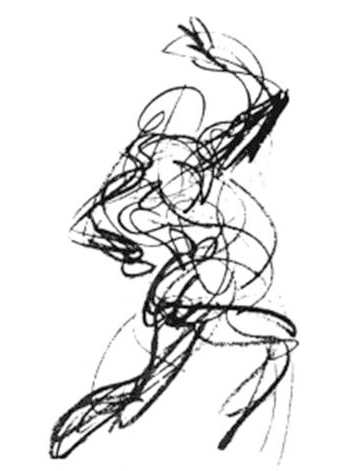 In his book The Natural Way to Draw Kim Nicolaides states, “Unfortunately most students, whether through their own fault or the fault of their instructors, seem to be dreadfully afraid of making technical mistakes. You should understand that these mistakes are unavoidable. The sooner you make your first five thousand mistakes, the sooner you will be able to correct them.” To err is human. Finding enjoyment in learning from your mistakes is anathema to perfectionism—the zombies will retreat instantaneously to their graves. 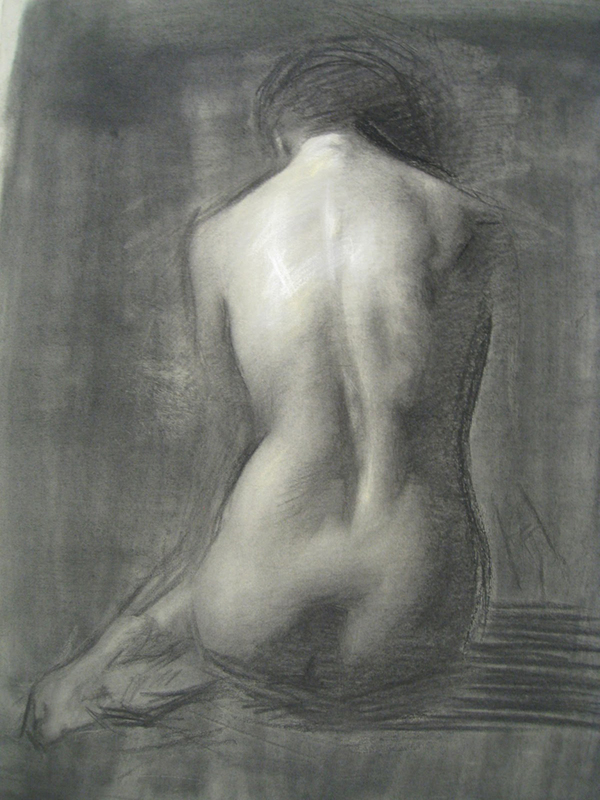 Figure study by Juliette Aristides. Notice how a number of corrections were made with fluid construction lines before finishing. This autumn tale is not without a taste of irony. 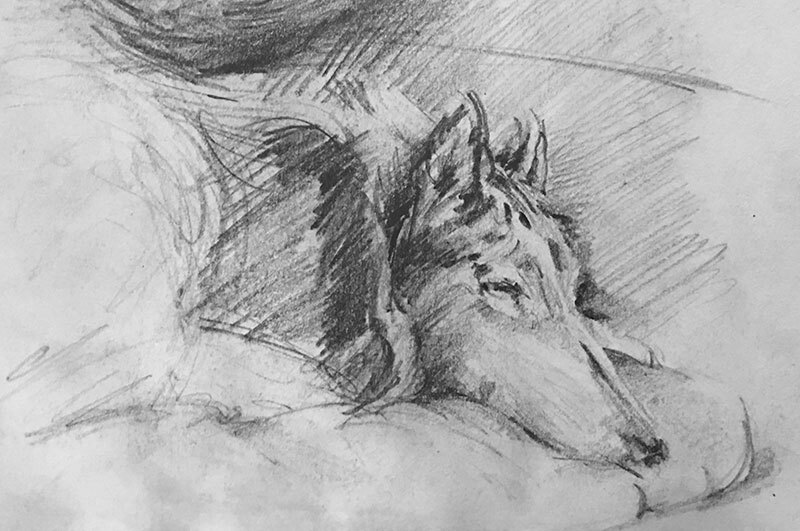 My dog Blue, just before she woke up, sketched swiftly without using even a single, carefully drawn straight line.